Give or take one particularly engaging interview, Trevor Noah’s Daily Show is still kind of trying to find its place in the world. Next week, though, Comedy Central is going all-in for a big-name guest, and it just might give the show the boost it’s been needing for a while now. As announced by a press release, Noah will be heading to the White House on Monday, December 12 for an “in-depth” interview with President Barack Obama. 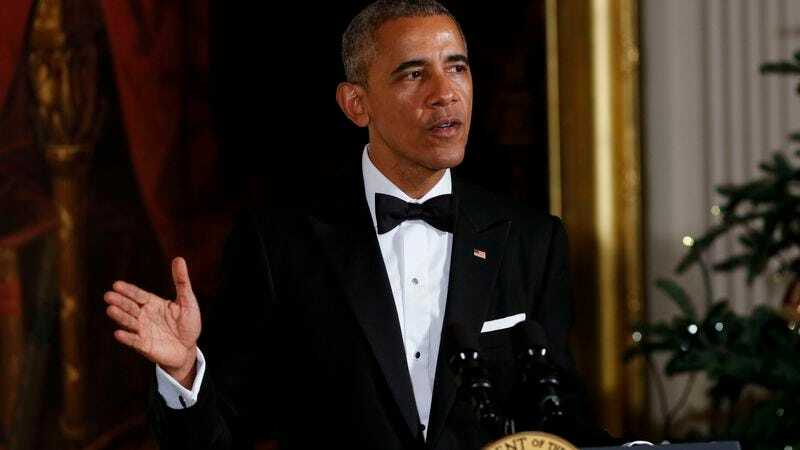 This will be Obama’s first appearance on the current incarnation of The Daily Show, and to make sure that everyone pays attention to it, the episode will air simultaneously on Comedy Central, MTV, and BET. Considering that Obama has done plenty of other TV appearances before now, it seems a little strange to make this into such a big deal, but maybe Noah is really planning to hit hard or he’ll get Obama to say some shocking thing about what he really thinks of the upcoming Trump presidency. We guess the only way to find out will be to watch the episode, and considering it’ll be on three times as many channels as normal, the odds of that happening seem pretty good.